This group of dedicated yogis decided to take their practice to the next level by participating in The Yoga Sanctuary’s Teacher Training Program. Over the next few months, we’ll be introducing you to them with short interviews followed by their “yoga story.” Each and everyone one them is a true inspiration! 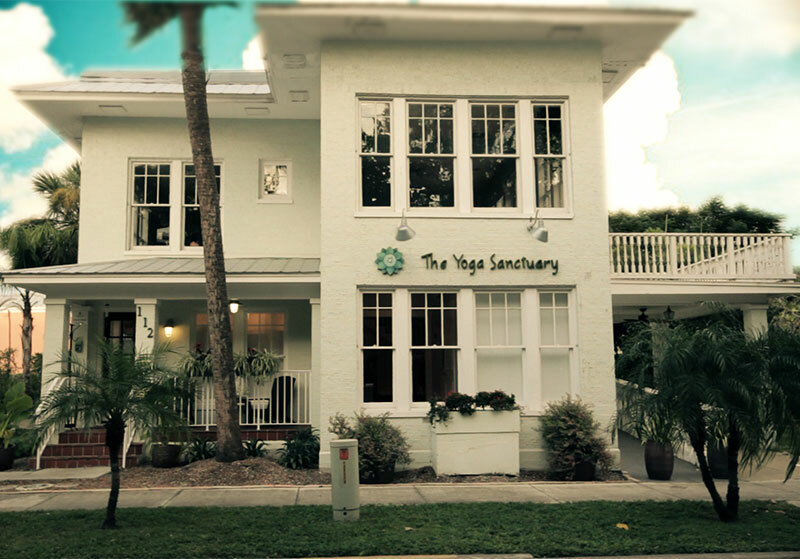 The Yoga Sanctuary: What made you decide to participate in the teacher training program? Amy Kindred: I wanted to deepen my understanding of yoga. It has made such a difference in my life. I also wanted to learn to teach yoga. TYS: Has being in the program changed your yoga practice in any way? AK: There is a requirement to keep track of your home yoga practice and how you felt or what you noticed each time you went to your mat. After four months of doing a home practice 5 times a week and writing it down, it’s now a habit for me. I am mindful so much more of yoga’s many gifts. TYS: What has been the most rewarding part of the program for you? AM: The journey with others in the class has been deeply rewarding. As one of my fellow classmates said early on, “You’ll do fine. We got your back.” I felt that support all along. Embarking on the journey to becoming a yoga teacher is so intense. Knowing you are not alone and that others are there for you and with you made it such a wonderful experience. TYS: What was the most challenging part of the program for you? AK: Anatomy. I loved learning Sanskrit and exploring ancient Yoga Sutras, but learning anatomy was tough. TYS: Where do you see yourself taking now that the program is complete? AK: Soon, I’ll by teaching my first class “unaided” by my TYS teacher and mentors. I loved learning to teach and I’m so excited to continue the journey of practicing and teaching yoga. “We who teach yoga are always students,” as Jennifer French, our TT lead teacher and program director, says. I look forward to learning more. TYS: Do you have any suggestions for someone that is considering a yoga teacher training program? AK: Jennifer also said, “Trust the process.” With the mala beads in hand, a new Teacher-In-Training student would do well to recite, “Trust the process. Trust the process.” over and over again. I am a mother to a 31-year-old son who lives in Cincinnati. I also have a stepdaughter in Rhode Island and a stepson in Indianapolis. My husband and I moved to Punta Gorda five years ago. Long before moving here from the Midwest, we would spend a month every year on the east coast of Florida. Although my husband is retired, I continue to work. 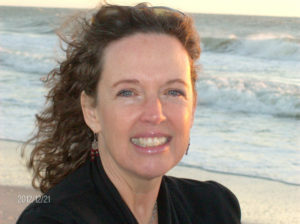 I am a Unitarian Universalist (UU) minister, and I serve the UU Fellowship in Port Charlotte. It’s hard to recall when I first started doing yoga. It has to be more than 20 years ago. Sometime around 1992, I came across a yoga DVD and found it to be very helpful for the overwhelming stress I experienced as an art teacher for 12 years. I have two very clear poignant memories about my yoga practice. I was doing yoga in my home on the morning of 9/11. I remember feeling very calm in the midst of a terribly confusing moment. Later, sometime in 2006, I recall participating in a yoga class on Cocoa Beach. It was a misty early morning. With the sound of the waves and the breeze, it was a powerful “one with nature” experience. I now practice yoga four or five times a week, combining a home practice with classes at The Yoga Sanctuary. I love the Sunrise Yoga classes on Tuesday and Thursday mornings. After arriving to class, sometimes in the dark, I like to pretend that during that hour when I’m doing yoga with others inside and the birds are chattering like crazy outside, together we are the ones who encourage the sun to rise. Silly thought, I know. “Use whatever crazy notions that get you to your mat,” I say. With food sensitivities and fibromyalgia, I am prone to aches in my muscles and joints. I walk, swim, run a little, and do lots of yoga to help with stress. With exercise, avoiding the cold, and watching what I eat, painful flare ups rarely happen. Breath work, meditation, and keen observation of how the body is engaged in movement are extremely beneficial for people who, like me, are easily distracted and have a hard time sitting still. I like the aspect of discipline in the practice. I believe it has helped me to grow into a person who brings a calmer presence off the mat because of the time I have spent on the mat. My favorite yoga pose is Bridge Pose with a block under my lower back. It just feels good to stretch the front body and reminds me of my youth when I could easily do backbends unassisted. To maintain a regular practice, I find I have to schedule time to do yoga in my calendar the same way I have to write down the date and time to attend a meeting. Outside of yoga, I love kayaking and making art when I can.